(Left to right) Jeffrey La Belle, Thomas Seager and Aviral Shrivastava will make presentations on their teaching methods at a National Academy of Engineering symposium. Photos by Jessica Slater/ASU. 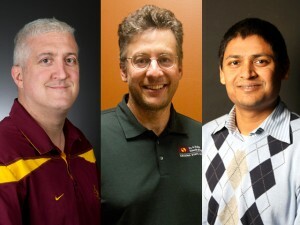 Based on their work to develop and implement innovative approaches to teaching engineering, Arizona State University faculty members Jeffrey LaBelle, Thomas Seager and Aviral Shrivastava have been selected to participate in the National Academy of Engineering’s Frontiers of Engineering Education Symposium. The academy chooses participants from a highly competitive group of applicants nominated by fellow engineers and deans of engineering schools. More than 70 university and college engineering faculty from across the country will gather for the event Oct. 14-17 in Irvine, Calif., to share ideas, research findings and teaching methods. “It is absolutely critical that U.S. engineering educators learn how to become more effective in the classroom, utilizing technology and pedagogy in creative ways in order to produce more innovative graduates who have the ability to address the complex problems of the 21st century,” said symposium chair Larry Shuman. Shuman is, a senior associate dean for academic affairs and Distinguished Service Professor of Industrial Engineering at the University of Pittsburgh. La Belle is an assistant professor in the School of Biological and Health Systems Engineering, one of ASU’s Ira A. Fulton Schools of Engineering. He’ll give a presentation at the symposium on a program he developed to enable students to teach and mentor each other in learning about medical-device engineering design. Seager is a professor in the School of Sustainable Engineering and the Built Environment, and a senior sustainability scientist with ASU’s Global Institute of Sustainability. At the symposium, Seager will present his work on developing games for teaching engineering ethics. Shrivastava is an associate professor in the School of Computing, Informatics, and Decision Systems Engineering. 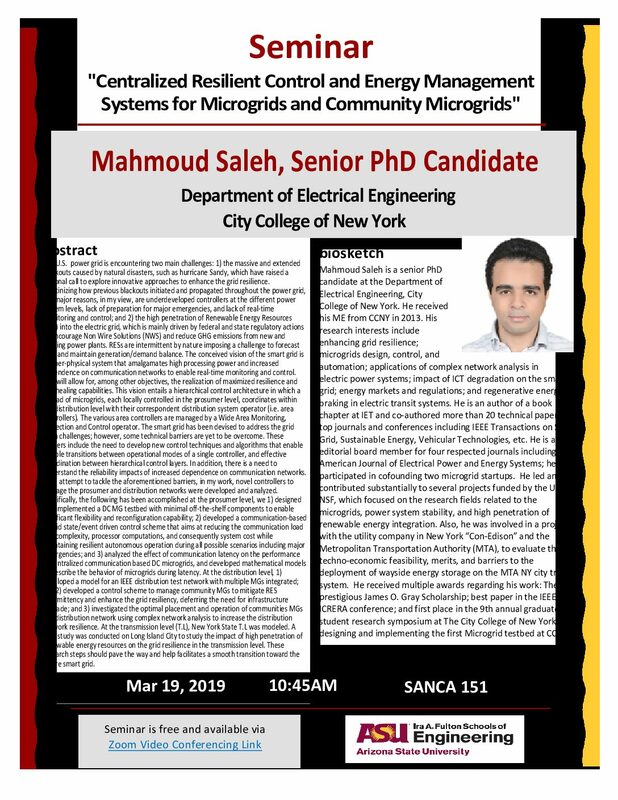 His symposium presentation will focus on his work to achieve advances in parallel computer programming and how he is introducing new concepts in parallel programming into courses he teaches. Read more about the Frontiers in Engineering Education Symposium.